Random, beautiful churches to be encountered everywhere. You might think it is impossible to fall in love within two days of making an acquaintance, but this weekend is proof that you can. I did. 48 hours in London, and I cannot wait until the day I get to return. The adventure began at 9:30pm on Thursday night, when I boarded my first night bus and settled in for the ten-hour ride. I'll be the first to say this is the least comfortable means to travel, but the entire cost of transportation was 50 euro, so here we are. Annoyances included a 2:30am arousal to get off the bus and pass through French and UK customs, followed by a pop-bag inspection, followed by a ferry ride where we, once again, had to vacate the bus for a few hours. This ride is anything but conducive to sleep. It's pretty safe to say that we're now best friends, although this is a sad continuation of another developing trend, where I meet and befriend cool, good-looking European men with...girlfriends. Oh well, there are more bus rides in my future. I arrived in London at 7:30am and, armed with roughly 3 hours of sleep and about 50% of my wits, navigated from the Victoria Coach Station to Rayne's apartment via the famous London Underground, aka "The Tube." I'm becoming very fluent in public transportation. Upon arrival, the group (Rayne, Jax, Yas, Kate, Andrew, Easton, and Nate) and I headed to brunch, where we tried the Full English Breakfast and crumpets. Crumpets are basically a glorified English muffin, with a name fun to pronounce in a British accent. Overall disappointing, but you should still try. We then set out for our first day of sightseeing, hitting attractions like the Portobello Market, St. Paul's Cathedral, Wellington Arch, Hyde Park, Italian Gardens, Buckingham Palace and the Victoria & Albert Museum. Keep an eye out for our interpretations of the various artwork we encountered throughout the day. It will be a theme this semester. A sort of modern-day impressionism, if you will (lol, like I know what impressionism means). Italian Water Gardens. Did I mention we had blue skies both days? V&A Museum. You can call me Vanna. Next on the menu was dinner at Muriel's and dessert at Ben's Cookies. The entire group took advantage of the "buy 3, get 1 free" deal, duh. Warm chocolate chunk, oatmeal raisin, lemon and white chocolate for me. Group members Tate* and Riley* will have devoured all four by the end of the night. The chicest handbag to pair with you new "abroad" (read: obese) look. Ending our 10 mile day, the ladies donned their night attire and picked up some wine (#TeamPB) to begin the night festivities. 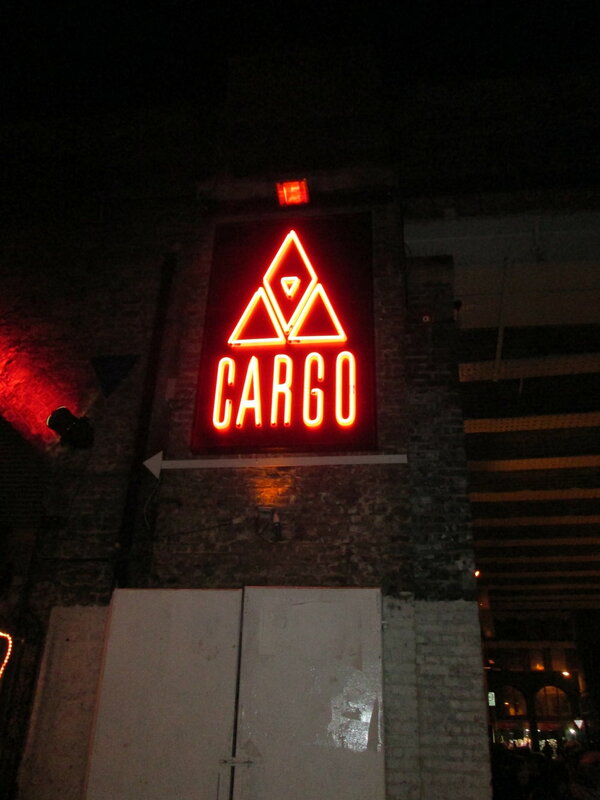 We danced the night away at a club called Cargo. Aside from some minor difficulties getting back inside the apartment at the end of the night (ahem, Jane*), it was a wildly successful day. Proof of attendance. We even went inside. The group awoke to a delicious array of muffins, scones and yogurt, provided by our lovely host, fuel for what would come to be known as "the day we walked 13 miles." That might be a little dramatic for those of you who run, like, marathons and stuff, but we were very proud of our cardio accomplishment. Within this 13 miles, we were able to see just about everything else there was to see in London; the Monument, Tower Castle/Bridge, Crown Jewels, London Bridge, London Eye, Big Ben. 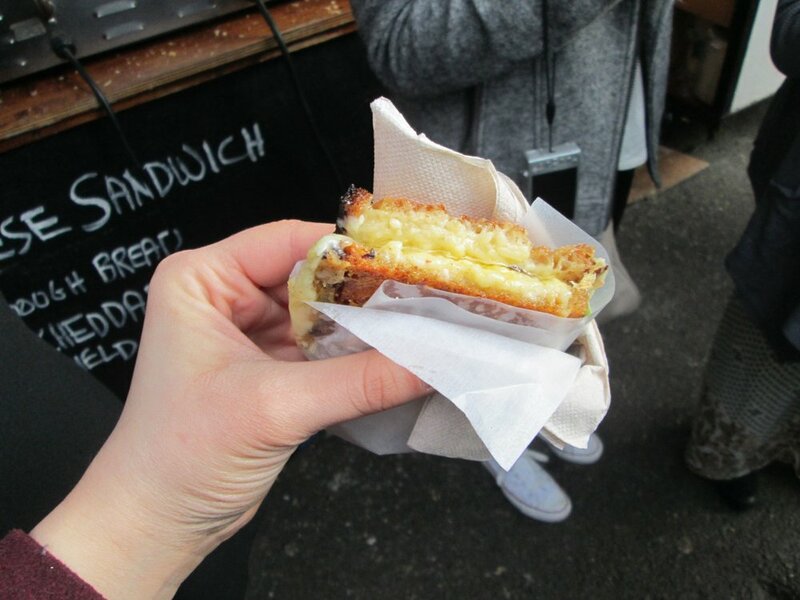 We ate fish and chips outside our castle tour, then arguably a three-course meal in samples at the Borough Market. We toured the famous Tower of London. Most frequent word used by our tour guide, Dickie: execution. You can take the day off, bud. Jax's got the Crown Jewels. I made Easton be my boyfriend for a sec, so that we could romantically gaze at this together. The Borough Market is, by the way, my favorite place in London. Not only did we purchase grilled cheese sandwiches, mulled wine, and a cookie the size of your face, we tasted Turkish delight (3-4x if you're Kate), mushroom pate (my biggest regret is not buying this), and endless, endless amounts of cheese. The market is a massive sprawl of farmer's booths and street vendors, all housed underneath a sort of railway that gives it a very - you guessed it - underground vibe. It felt like a super local activity, and I like to do as the locals do. Angels in the form of bread and cheese. Obvi the cookie the size of your head. Obvi delish. Hours after the market, we hit up a random, local tavern, where everyone ordered cider and crowded around a little table to talk, eat and rest our weary feets. I ordered the British classic of "bangers and mash" for dinner, quickly realizing that the name is heavily reliant on its appearance. It was pretty good, but the best part of dinner was laughing hard with good friends. Took a moment there to revel in being #blessed. Bangers and mash; striking resemblance between name and appearance. Finally, #TeamPB reassembled to pregame the night! On the itenerary: The Ministry of Sound, aka the #7 best club in the world, according to 2013 DJ Magazine. I wish I could describe the magnitude of how effing cool this club was. I could have gone sober. Cedric Gervais played most of the night, and he absolutely killed it. Cedric Gervais and elevated surfaces. 8:15am alarm to make my 10:30am bus. Not taking any chances this time around. Made it to my bus with plenty of time, zero stress. This is a novel experience. I ride the bus without a seat partner, single customs check, or ferry ride. What. Whatever, I slept 8 of the 10 hours, making it an altogether bearable journey. *Names have been changed to protect the privacy of these individuals. Sign up for monthly content roundups of everything you might have missed on BSM, right to your inbox! Your email will never be shared & you can unsubscribe at any time.